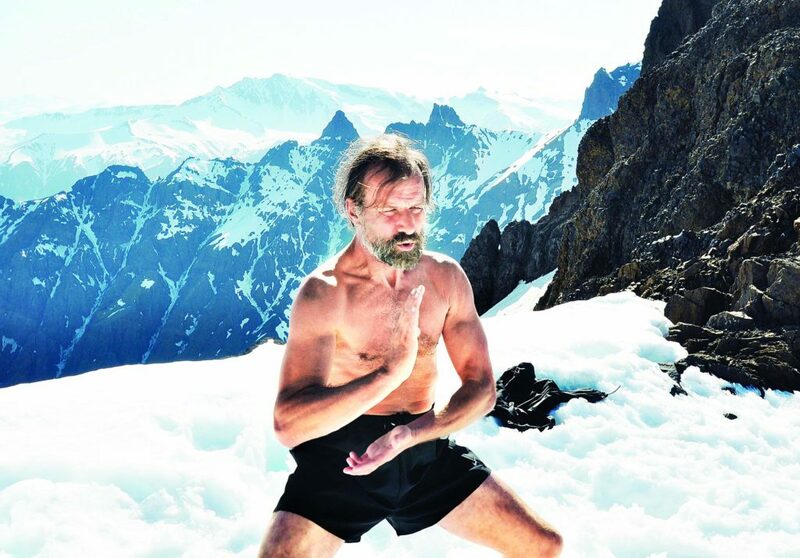 Wim Hof ("the Iceman") is a Dutch extreme athlete noted for his ability to withstand extreme cold, which he attributes to his Wim Hof Method (WHM) breathing techniques. Hof is the subject of The New York Times bestselling book What Doesn't Kill Us, which tells the story of how the investigative journalist Scott Carney took an assignment to debunk the WHM but ended up learning Hof's techniques. Hof currently holds 26 world records, including one for longest ice bath ( presently 1 hour, 52 minutes, 42 seconds ). He completed a marathon above the Arctic Circle, in temperatures close to −20 °C (−4 °F). Dressed in nothing but shorts. Hof finished in 5 hours and 25 minutes. He ran a full marathon in the Namib Desert without water. Hof has set out to spread the potential health benefits of his breathing techniques, working with scientists around the world to prove that his techniques work. Studies have shown that by consciously hyperventilating, Hof can increase his heart rate, adrenaline levels, and blood alkalinity. The first phase involves 30 cycles of breathing. Each cycle goes as follows: take a powerful breath in, fully filling the lungs. Breathe out by passively releasing the breath, but not actively exhaling. Repeat this cycle at a steady rapid pace thirty times. Hof says that this form of hyperventilation may lead to tingling sensations or light-headedness. After completion of the 30 cycles of controlled hyperventilation, take another deep breath in, and let it out completely. Hold the breath for as long as possible. When strong urges to breathe occur, take a full deep breath in. Hold the breath for around 15 - 20 seconds and let it go. The body may experience a normal head-rush sensation. These three phases may be repeated for three consecutive rounds. Hof says that the WHM can treat or help alleviate symptoms of illnesses such as multiple sclerosis, arthritis, diabetes, clinical depression, anxiety, bipolar disorder, and cancer. Wim Hof has been blamed by relatives of four men who separately drowned in 2015 and 2016 when practicing his breathing exercise. They died after suffering shallow water blackouts in swimming pools. Wim Hof advises to do the exercises in a safe manner and location. Any related topics are listed here.